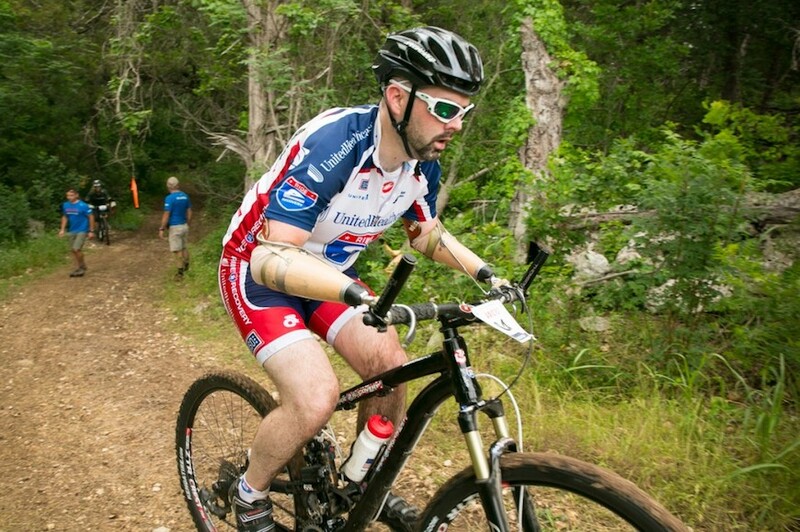 Matt DeWitt, a native New Hampshire resident and a former competitive mountain biker, joined the US Army in 1998. Part of the initial invasion of Iraq, DeWitt was on duty in Khalidiyah in 2003 when a rocket-propelled grenade hit him. He lost both of his arms below the elbow. 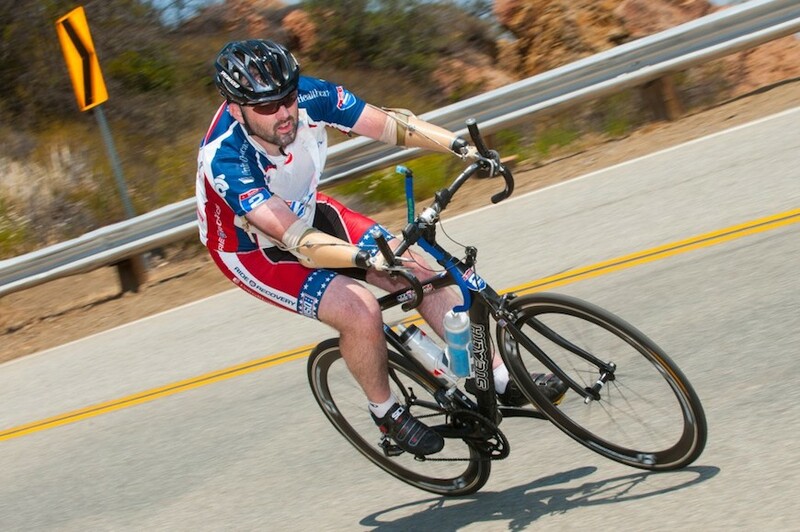 After months of hospital stays in the states, DeWitt had one goal: to ride a bike again. Eight years after the incident, DeWitt was introduced to the Ride 2 Recovery (R2R) crew and joined the Las Vegas Veterans Day Honor Ride, where the cycling bug re-bit DeWitt. He is now riding an adapted carbon fiber DI2 road bike with electronic shifting and modifications to the braking system and this year, he has already completed his first and second century rides. DeWitt also finished the Memorial Challenge, where he had the honor of placing a wreath on the Tomb of the Unknown Soldier. He also had the opportunity to participate in a race with George W. Bush. After doing a few century races, he has decided to try the Leadville Trail 100 – an extreme mountain bike race in Leadville, Colorado, where the altitude is over 10,000 feet. Determined to race more and faster, DeWitt wants to show people the benefit of R2R through racing. Stay tuned here for a follow-up with DeWitt to find out how he endured the Leadville 100.